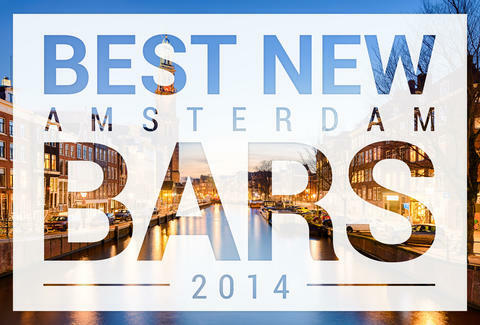 Amsterdam, the city with the most museums per capita, seems to be making a run at the bars per capita title this year as well. 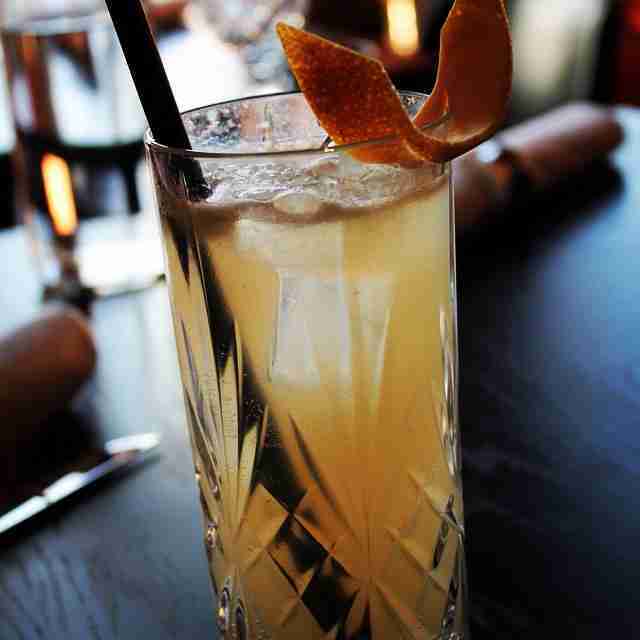 With a liver-numbing list of new options in 2014, we’ll do you the favor of narrowing it down to the top 11 new drink spots of 2014 to get you to the New Year. 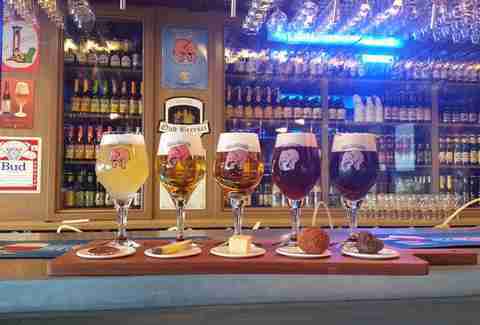 The biggest beer bar in the world has also become the biggest beer bar in Amsterdam, with a growing list of 500+ brews on offer (20 of them on tap, including the house Delirium numbers). Despite being somewhat difficult to find, sort of hidden under a bridge across a small waterway on the city side of the Passenger Terminal, the sizable, barrel-bedecked space fills up most nights. Perhaps also because every beer on tap can be tasted before making a decision... and tastings are generous. The summer’s hottest new hotspot is still going strong into the fall. Terrace warmers help, and there’s a colorful indoor space, too. 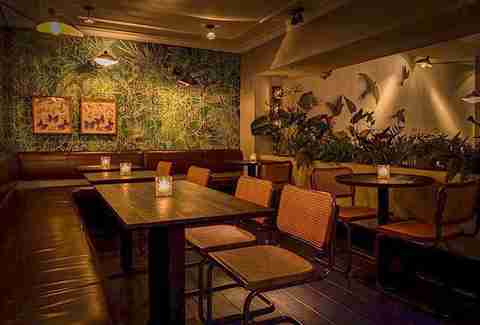 But it’s mostly about the friendly staff, super-fresh Surinamese food, and smart programming -- like the Soso Lobi Fridays with hip-hop and tropical tunes. Plus, the ginger, watermelon, lemon, or basil G&Ts are good year-round. 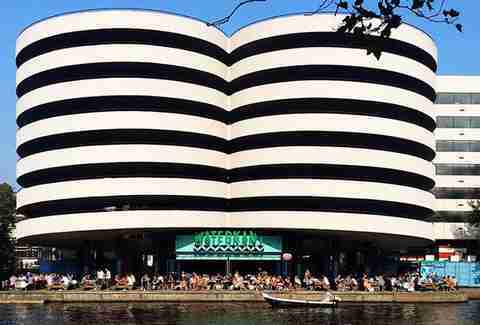 Amsterdam’s other big waterside opening of the summer feels like a giant treehouse, with haphazard layers of indoor/outdoor wood deck seating. The size of the place doubles in warmer months when the massive terrace full of picnic tables and broken-down boat seating is habitable. Or just come to explore the winding walkway through the grounded boats acting as creative offices and floating gardens. 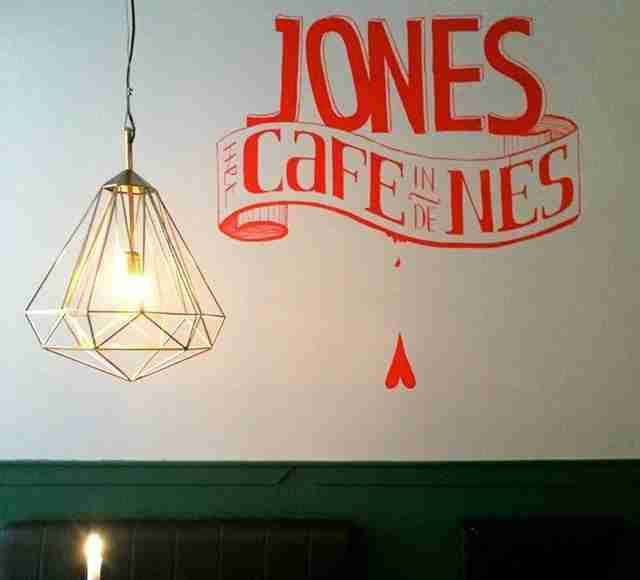 In addition to Amsterdam brews like Oedipus and Brouwerij 't IJ, they offer a changing menu of randomly selected vegetarian dishes, like quiche, salad, and spicy "chicken" sandwiches. 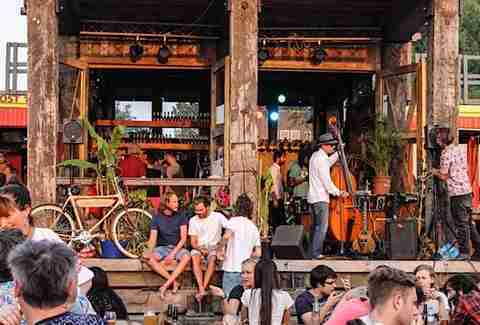 Plus regular events like unplugged concerts and impromptu stand-up liven up the drafty winter evenings -- and by next summer expect even more event space plus rooftop greenhouses. Basis’ new, bigger space, with its big separate dance chamber, has proven to be everything its former location wouldn’t let it. 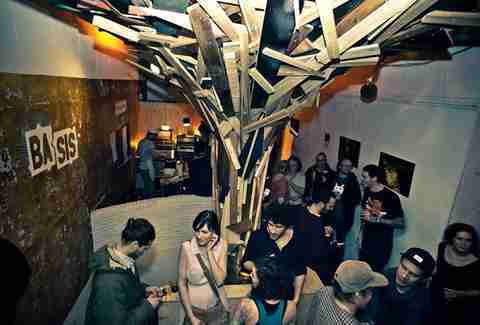 Now there’s way more room for the non-pricy drink sipping and myriad special events, from local DJs to creative collectives. And if there's an event on there, you can bet there'll be hundreds of Facebook RSVPs, but still somehow space to dance. Oost is finally coming up with a ton of new drinkeries, and this safari-themed spot might qualify as the best looking of the bunch. The gentrification of the “Indonesian Neighborhood” has begun -- and if it’s gonna be all sitting in sweet digs drinking beers and G&Ts and eating Indonesian-influenced fusion food, we don’t think we mind. Since September, this little bro of next-door rotisserie restaurant Fier has been serving burgers, spare ribs (from a Big Green Egg), and (of course) chicken out the front door... and craft cocktails out the back. The back “speakeasy”-style bar also offers some menu extras, like pulled pork and wings. But most people are here for the Mad Mixologist’s G&Ts. The overall theme is Brooklyn, right down to the now-ubiquitous Brooklyn Brewery beer. This brother bar to bar Franklin and the new Americano Bar & Kitchen has a spiffy tiled interior that would be equally in place in NYC (and a terrace for the warmer months). Carter starts its day more kitchen than bar with a modern bistro menu. But if you don’t want to leave after your Bloody Mary soup, wine, and cocktails (and you won’t), the bar is open until 3am on weekends. Only open since October, this former coffee shop has been transformed into a dramatic glass-walled, leather-lined den of meat and drink. With two big DJ names (Sunnery James and Ryan Marciano) attached to the ownership. They take their (Wagyu) steaks super serial here, but we’re coming for the cocktails, put together by a London mixologist. Naturally, there’s a regular lineup of DJs every Thurs-Sun after 10pm, including James and Marciano themselves when they’re in town. Just bring a big wallet, and make sure it’s full. 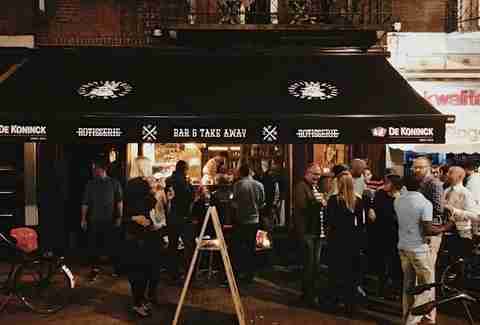 This small central alleyway is getting livelier and livelier after dark... and this summer opening by the owners of the late-night bar De Buurvrouw gives you yet another boozing option. 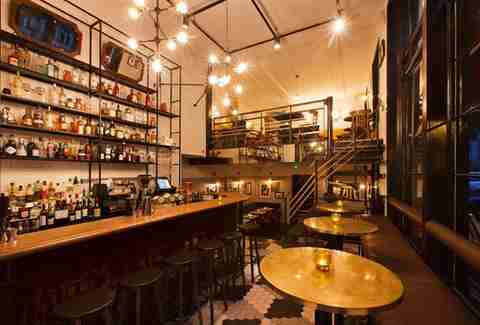 Expect a laid-back, modern “vintage” vibe and budget-friendly booze options in the form of Pimm's, local and Belgian beers, and more G&Ts. The team behind Bar Huf has done it again. 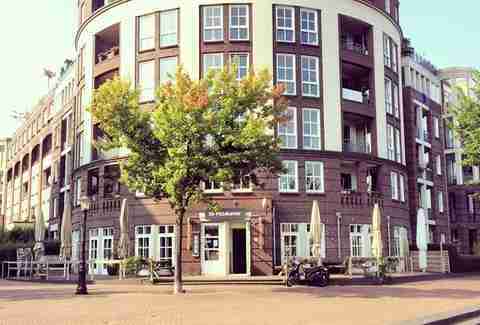 This newest newbie (not to be confused with Restaurant Breitner along the Amstel) just opened in November, but this summer, a sunny waterside terrace will be added. The restaurant menu veers French (think steak and quiche), but the bar is stocked with all of your usual favorites. More of a sit-down-and-drink place, you can stay sitting and drinking until 3am on weekends. 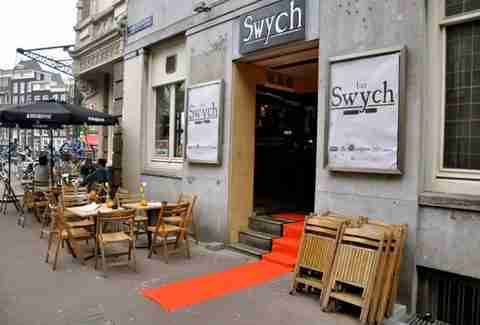 “Pop-up” bar Swych was meant to close its doors in August... but luckily for us it’s still going strong. It’s got history (of the Rembrandt variety), it’s got cocktails (of the jenever variety), and it’s usually got a crowd. We say: may the Hotel Doelen renovations live on... so that Swych can as well!